After having toured and recorded with Buddy Miles and Earth Wind and Fire André joined Frank Zappa's band. Grew up in Omaha, later formed a group with to-be Grammy award winner Lester Abrams. Toured and recorded with: Grant Green, The Who, LaBelle, Buddy Miles Band, Maxayn, Rufus, White Chocolate, Earth Wind and Fire, toured and recorded with Frank Zappa. Produced at Motown and also played with Huey Lewis, the New Riders of the Purple Sage, Carl Carlton, Angela Boffil, Stacey Latisaw, Edwin Starr, Charles Wilson and the Gap Band, Sly Stone, Bobby Womack, Jonas Hellborg, Ginger Baker, Freda Payne, and was band leader for Johnny Guitar Watson. Andre Lewis was one of the first musicians using multiple signal processors on keyboards; later he was a pioneer in the use of synthesizers on records and worked with the now famous Roger Lynn on developing the first digital drum machines. Comments Andre Lewis: There have been two musically emotional highs in my life; one was when Miles Davis wanted to form a rock band, and he said to me he wanted to have some guys like me in the band, who could play. The other was feeling the vibe playing with my old friends, whom I was raised up with, live and being able to make this record. 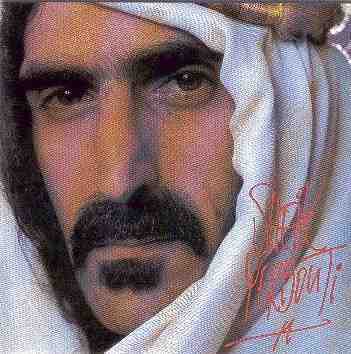 ...released a solo album in the late 70's I have on vinyl called Mandre, which is interesting. the name MANDRE is not from a combination on Maxayn (Paulette Parker) and Andre but Andre's first name is Michael and MANDRE is M. Andre Lewis, which is what is had always used as his name. Subject: The last time I saw Andre. Was in my brother's living room in Westport, Conn, sometime in 1973. Both of them had been in the Buddy Miles Band together, and Andre was at the time playing keyboards on an album brother was recording for RCA at the time ("White Chocolate" was the name of the group-long since out of print. His wife at the time, Maxayn, also sang back-ups on this record). On this particular day, Andre was wearing a Mickey Mouse t-shirt, and we were smoking reefer and listening to Bessie Smith records. On the wall of this room was a promotional copy of David Bowie's "Aladdin Sane" album, which had been set on fire and nailed into place with a picture frame placed around it. But that's not why I'm writing to you. The story is that, at his funeral, guitarist Tommy Bolin's girlfriend, placed one of Hendrix's rings on his finger before his coffin was lowered into it's grave. As I understand, Andre and brother (who once again, were both with Buddy's band at the time) were both at Hendrix's funeral; but that's not why I am writing either. I'm curious if you or Andre could tell me who had the original version of the song-"Take It Off Him (and put it on me)", that finished the "We Gotta Live Together" album? 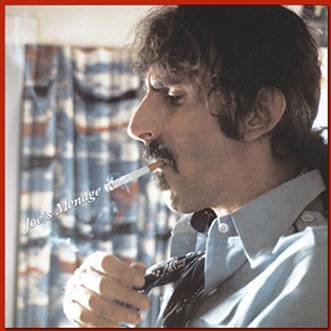 Thomas (formerly Tommy Karp) P. C.
Johan brings to our attention that Andre Lewis was amongst the first Zappa lineup to play the Young & Monde / Kreeg-ah Bundolo evolving composition. 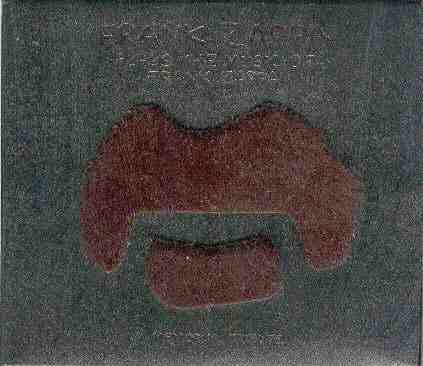 M. Andre Lewis used to play keyboards for Frank Zappa's band after George Duke left. He was one of the only musicians that Frank hired who could not read music, but he had such good ears that he could remember something the first time he heard it. 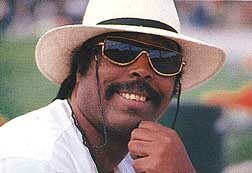 He had a record contract in the 70's on Capricorn Records with his then wife Maxanne Lewis, called Maxanne. He then had a record contract with Motown records through Winston and Iris Gordy (Barry Gordy's sister) called MANDRE. He was one of the first people to record with a drum machine (Roland 808) and synthesizers (before they were Polyphonic Roland SH101) he was a testor for Roland products. He is now living in Omaha. He has worked with Buddy Miles, who is also from Omaha, Johnny Guitar Watson (who passed away a couple on years ago on stage in japan) and Ike Turner when he had hi studio in Inglewood. He plays synths like electric guitar (more rock/blues than funk) and played with Huey Lewis and the News in the S.F. bay area some years back. He is a black guy with rock influences and can go toe-to-toe with George Duke. He just did a concert in Germany for the Millenium but I don't know with who. He also was doing all the "freak" songs at MOTOWN before Rick James's "superfreak" and he also did a cover of Barry Gordy's "money" which of course was also recorded by the Beatles prior to Andre's version. His most famous recorded material was a song called "Solar Flight" which was a synthesozer instrumental that was used at one point for a theme song for Wide World of Sports when Howard Cosell was announcing...of course, Andre probably has the dates and info better than I.
Q. What was your experience prior to working with Frank? I've seen you credited with Woody Herman and Carmen McRae. That sounds like a pretty good way to start a career to me! Q. 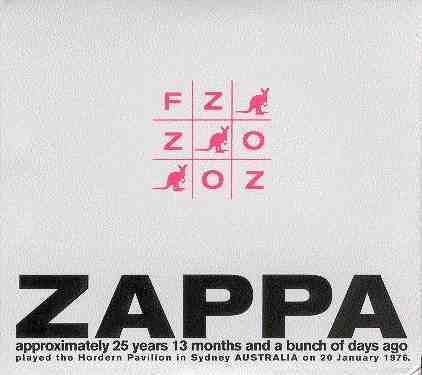 How did you get the call to play with Zappa? What were your impressions of him at that time? Q: What were the sessions like? (a general question, elaborate at will). Q: What was touring like? (again, answer as long or short as you like). Q. How familiar were you with his music when you joined? Were you a Mothers fan, was it just a paying gig when you joined, or somewhere inbetween? 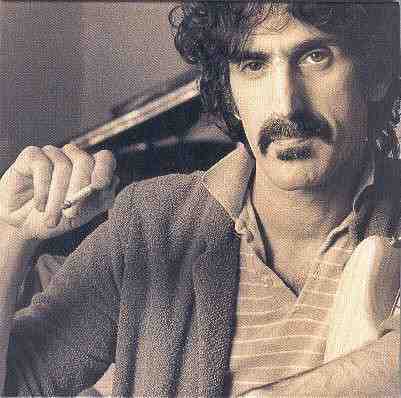 Q: What was your favorite Zappa song to play? The least favorite? Q: What were your overall impressions of Frank as an employer? Does anything stand out in your mind about his methodology, work ethic, etc.? Q: What have you done since then, and what are you up to now? Is my discography reasonably correct? 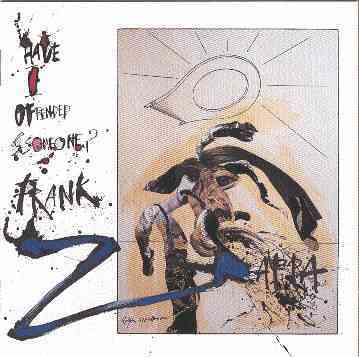 As far as what I've done before working with Frank, I will send you a small resume and discography to help with that. As to your last question, yours is reasonably correct but it does have a lot of gaps. As far as playing with Woody Herman and Carmen McRae, that might have been my Father as he was a saxophne player with Duke Ellington, Count Basie, and locally with Preston Love orchestras. He also played with Paul Williams, who backed up (and I had gone on tour with him) Fats Domino, The Sillouettes, the first Isley Brothers, Chuck Berry, and was bandleader with Etta James. But enough about him, I just have memories of traveling on the bus with him when I was very young. About me, my first experiences was when I was 13 and on the road with Upsetters, and Newbreed, backing the likes of Sam Cooke, The Orlons and Johnny Taylor. But the info will fill in the gaps for you right now. 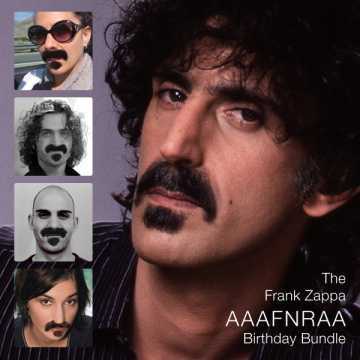 Question: How did you get the call from Zappa? I had a group called "Maxayn". Also during this period, I was recording Johnny Guitar Watson's recordings and we were very good friends as well. I went to Guitar Center on Sunset Blvd one day to pick up some bass strings. They had a promotion where you buy one set and you get one free. And somehow, I had to leave my number with the salesperson or they had it from my account; anyway, evidently Marty Perillis, who was at that time Franks road manager (I'll have stories about him later) went to the Guitar Center and asked if they had anyone they could recommend for keyboardists, as Frank was holding auditions the next day. Marty called me and asked if I would like to audition. 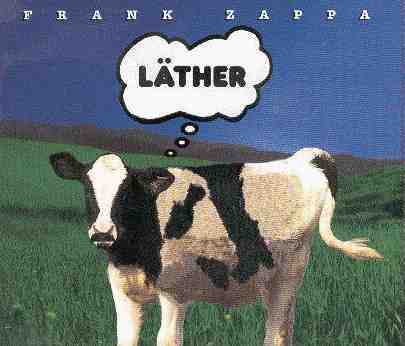 This might answer one of your other questions; I knew of Frank and had listened to some of his music but I was not particulary a Mothers fan so I was somewhere probably inbetween being a fan and just playing a gig. I agreed to auditon in a couple days. When I went to the audition there were probably 5-6 other guys there that Frank listened to and I thought I had no chance because these guys could read flyspecks! I was surprised tho when Frank found out that I was the keyboard player for Johnny Guitar Watson and had a memory and ear which subsidized not being able to read music that well. He immediately took a liking to me and we were both Sagistarians. Frank asked me if I sang, I sang "Sunny" and after the rehearshal/audition he asked me to come back tomorrow. My impression at the time was that he was a guy who knew what he wanted, like myself. and if it was a little 'odd' or away from the norm or what everyone else accepted or liked, it made him no difference. He saw his picture and he was the painter. The first gig was to be a 40-piece orchestra concert at Royce Hall before we started the Mothers tour. He was rehearsing for this and forming the new band at the same time. I didn't think I would be playing on this gig because the music was all read and I was just starting to get adjusted. But he asked me to play the gig anyway, my only duty on the gig was to accompany him on the organ during his solos. He would conduct the orchestra and when he reached for his guitar to play, I would come from behind the curtain and accompany him on the B3. I will elaborate more on these things later. What was touring like? 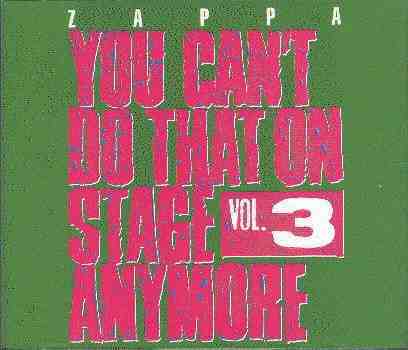 Touring with Zappa was one of the neatest things I've ever done in my life! It was like getting paid to go to school, learn music, and stage production all at the same time plus being pampered! To elaborate, I had been on a lot of tours before but at that time we had the world's largest lighting truss, it had been used by Pink Floyd or one of those English groups then modified for us. Sometimes I would just hang out with the lighting and sound guys just to know how to hook up such a big production. 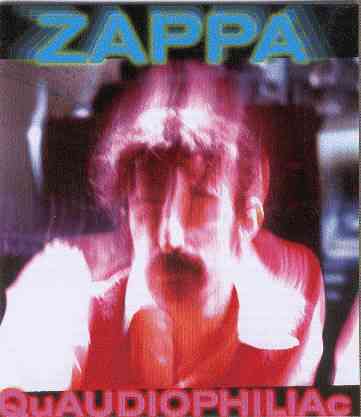 Not to mention getting my ear expanded by the different type of music, sounds, and chord structure that Zappa employed. As for the pampering, Frank had two buses, one for the roadies and one for the band. These buses are comparable to what the ones they use for Road Rules on MTV, with all the amenities available at the time. They were killer! But in the states, we rarely rode the bus because we were on the private plane; a viscount prop jet that was initially done up inside for some corporate use. It was really nice. When we got off our flight, the stewardess would ask what we wanted the next morning; when we got on the plane next morning our meals were ready at our seats. When we went to Japan, or any foreign country we were treated to the best part of the culture and art that there was. Example, in Japan, the Geisha House and different quisine every day. Cobi, sumu, barbeque, etc. And the Meditation Gardens. In Europe, always the best wine of the region, best food of the region, and there was always someone to show us the culture of the area. As you know, Frank did no drugs, but was a heavy smoker and was a conniseur of wine. He introduced me to espresso. He also had a thing about coffee. He would walk with a flask of what we called his mud. It was like Heinz catsup, it poured real slow! It was turkish and really thick! There are many more antedotes; as I think of them I will write you again. 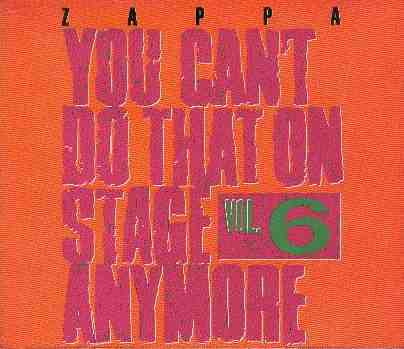 As to what my favorite Zappa song to play was. It was Black Napkins. I had no least favorite. The link that I clicked on to of the setlist brought back memories, they will help me and tapes of the tour will help me. I think this guy named Jon from another website will be sending me some music. I don't have any right now myself. As far as my overall impression of Frank as an employer. This too, I loved. Frank was a workaholoic. I also am one when I work. (He also played the same way!!) When it came time to work, we had an 8-hour day just like anyone else. We punched in the timeclock. Worked 12 noon til 8 pm normally, with an hour for lunch. We worked hard at music and at making our instruments sound correct as we were always experimenting with different effects, etc. As far as scheduling, Marty Perrilis was a genius. He had everything we needed to know in our tourbook. He didn't like questions but we would to try to find something not in the book to ask about but it was never there! Franks manager at the time, one of the Cohen brothers, was also very good. For now, this is all I can say regarding your questions. Right now I am doing a lot of gospel music and am Music Director at a local Baptist Church. Once again, I hope this will quench a little of the thirst - there is a lot more to drink! I told you last time that Andre Lewis is back, that he recently moved to L.A. and gave you his latest e-mail adress. The e-mail address that I gave you was still valid, but now, that will change as well: dremandre@hotmail.com. As a long-time fan of Lewis's solo albums from the mid- to late 70's, I contacted him to see if I could procure some of his music on CDs. He responded back that he did sell the CDs with his solo albums on it and provided some original cover art as well. Funds were sent to him and no product ever was delivered. Further, no messages or explanations were ever given. Not cool at all to treat fans like this and unless he has "left the building", others beware, and be forewarned of this unfortunate incident involving this artist. Miles and Jimi Hendrix and his recollections of The Band of Gypsys. Andre had recently been unwell and he seemed rather confused. He seemed a genuinely nice guy but perhaps something of a lost soul. As I said, Andre didn't sound in particularly good health and I just hope that he made a recovery from his illness. It also seemed like he was struggling to find work and that times were hard. Michael's obviously had a bad experience with Andre although there might be some explanation for it. Techno-funk pioneer Andre Lewis-bandleader of Maxayn, mastermind of Mandré, and an unsung music-technology innovator-took his final "Solar Flight" on January 31, 2012, passing away in Shreveport, Louisiana. Lewis is well known for his involvement with the early '70s soul-rock group Maxayn (which featured his lifelong friend and musical collaborator Maxayn Lewis) and for his late '70s/early '80s future-funk project known as Mandré. Criminally under-recognized are his contributions as a pioneer in recording synthesizers and his early championing of drum-machine technology. He was one of the first American recording artists to introduce Roland drum synthesizers (including the legendary Roland TR-808) and was a major contributor to the design of Roger Linn's LinnDrum digital drum machine. "Andre was talking about MIDI and layering sound before anyone else," Maxayn said earlier this month. "He was on the cutting edge." Because he was also a beta tester for Roland musical instruments, he would get new products that no one else had, and he'd get them first. "Every day, we were receiving equipment. And we would have what I called parties," Maxayn remembers. "I'd make food, and all of the biggest artists would come through our house and check out our instruments. Chick Corea, Stanley Clarke, you name it. We had the first generation of synthesizers. You couldn't go to a store to get them. You'd have to come to our parties." While Lewis's musicianship is highly regarded, his work on developing the landmark LinnDrum drum machine is less recognized. "I'd be in bed and wake up, and Roger [Linn] was there asking Andre how to fix something that he couldn't make work," Maxayn says. "Then Roger would leave, and he'd come back again, minutes later, needing more of Andre's help." Born in Nebraska, Michael Andre Lewis was a child prodigy who led his own Mike Lewis Quartet at age fifteen, and then led his Andre Lewis and the New Breed, which included future members of the Electric Flag as well as Hank Redd, who would go on to work with Stevie Wonder. He wound up joining the band of his childhood friend Buddy Miles and appeared on several of his albums, including Them Changes. Lewis met Maxayn at a Chicago tour stop while in the Buddy Miles band. "He looked like he was from another planet, dressed in the leather, dyed velvet, knee high boots," Maxayn jokes. Lewis's groundbreaking work with synthesizers began to take shape with the three albums that he and Maxayn's band released under the name Maxayn for Capricorn Records: Maxayn (1972), Mindful (1973), and Bail Out for Fun (1974). "Then Andre wanted to try some other things with synthesized music and techno-funk. That whole genre of music should be credited to him," Maxayn says. Enter the three brilliantly space-aged and intergalactic-sounding albums he recorded under the name Mandré: Mandré (1977), Two (1978), and M3000 (1979), released for perhaps the most unlikely of labels, Motown Records, who promoted the group as being "funkier than Parliament." The concept was, as Maxayn describes, "controversial." Andre was to perform in a futuristic mask because "he thought the music sounded other-worldly. He was to be the Masked Marauder, a mystery man sent from space to create peace on Earth through the [sound] frequencies." Famed costume designer Bill Whitten custom-made a mask to fit Andre's face and make it easier to breath during performances. The self-titled debut spawned the synthesizer-heavy hit "Solar Flight (Opus I)," considered an underground dance classic and also briefly used as a theme song for ABC Television's Wide World of Sports. "The [Mandré] records were well received by the public," says Maxayn. "Berry Gordy really liked it a lot, but it wasn't an R&B act. Motown understood the importance, but had no idea how to market him." Despite the custom-built mask and a second hit in 1979 with "Freakin's Fine," Mandré never toured and only performed live a couple of times. 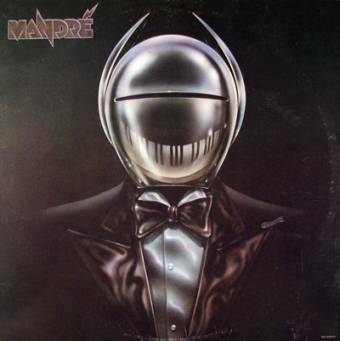 In 1982, he recorded and released his final Mandré album, 4, for his own Future Groove label, singing and playing clavinet, organ, piano, bass, vocoder, and Roland synthesizers. The only Mandré album to be reissued to date (Rush Hour Recordings in 2010), 4 would also be the hardest Mandré LP to find due to a freak accident. "A smoke alarm at the pressing plant set off sprinklers and it ruined the whole run," Maxayn says. "Only a few of those copies...that could be salvaged made it to the record stores." In the '80s and '90s, still highly regarded in the industry, Lewis toured and recorded regularly with Frank Zappa, Roky Erickson, the Who, Labelle, and Johnny "Guitar" Watson, among others. Maxayn remains active as a vocal coach and performer and is currently planning a musical "celebration of life" that will be held at the Maverick's Flat, the club where the Maxayn band first performed in L.A. The author, Melissa A. Weber, performs as the famed DJ Soul Sister in New Orleans, Louisiana. She would like to thank Maxayn Lewis and the Masked Marauder.